FLINT, Mich. — The head of the Michigan health department was charged Wednesday with involuntary manslaughter, the highest-ranking member of Gov. Rick Snyder's administration to be snagged in a criminal investigation of Flint's lead-contaminated water. 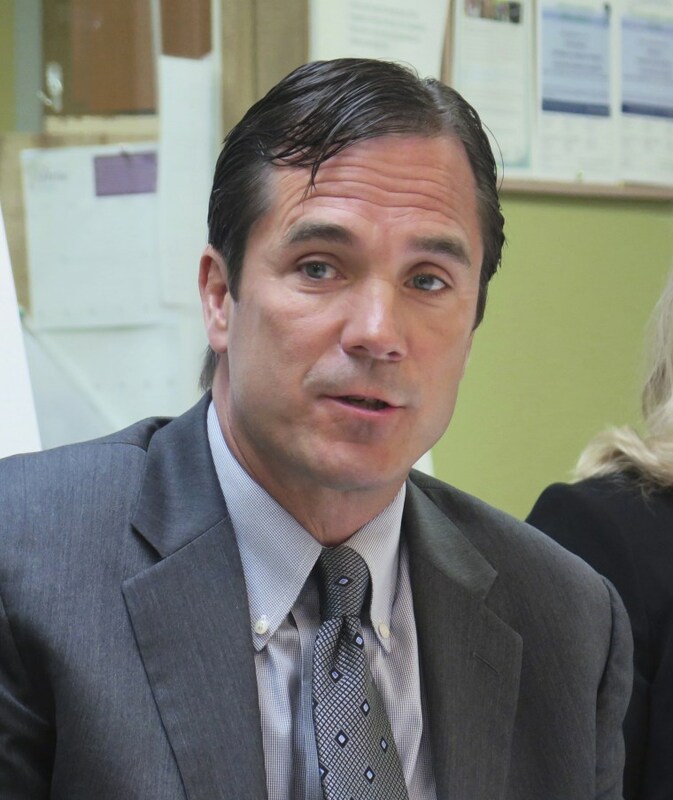 Nick Lyon is accused of failing to alert the public about an outbreak of Legionnaires' disease in the Flint area, which has been linked by some experts to poor water quality in 2014-15. The state's chief medical officer, Dr. Eden Wells, was charged with obstruction of justice and lying to a police officer. Lyon's failure to act resulted in the death of at least one person, 85-year-old Robert Skidmore, special agent Jeff Seipenko told a judge. The charges were read in court by Seipenko, a member of the state attorney general's team. Lyon and Wells were not in court. The Associated Press left a message seeking comment from Lyon's attorneys. Wells' lawyer was not immediately known. Flint began using water from the Flint River in 2014 but didn't treat it to reduce corrosion. Lead from old plumbing leached into the water system. Lyon was personally briefed in January 2015 but "took no action to alert the public of a deadly" outbreak until nearly a year later, Seipenko said. Lyon has admitted that he was aware of Legionnaires' for months but wanted to wait until investigators in the Health and Human Services Department finished their own probe.